functional beauty? wall jewelry? illuminating focal point? how best do i describe my love for a thoughtfully selected and perfectly placed wall sconce? yes, they act as a light source. yes, they can fulfill a practical need. but boy oh boy can they add drama, intrigue and a touch beauty. 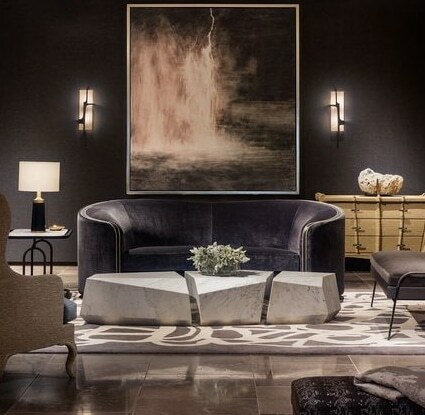 perfect example: the ariel sconces by holly hunt featured in the sumptuous living room shown above. 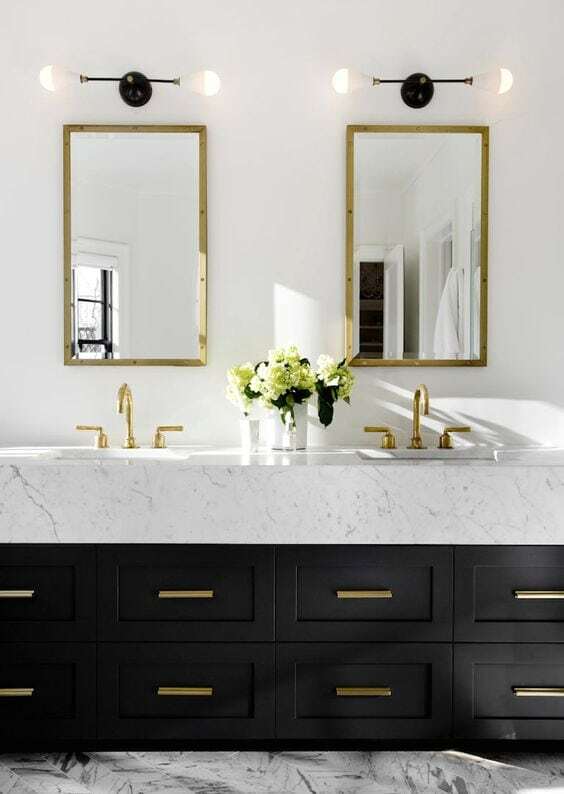 this bathroom has so many swoon-worthy elements but the horizontally installed black and brass sconces really pull all of the incredible design elements together. 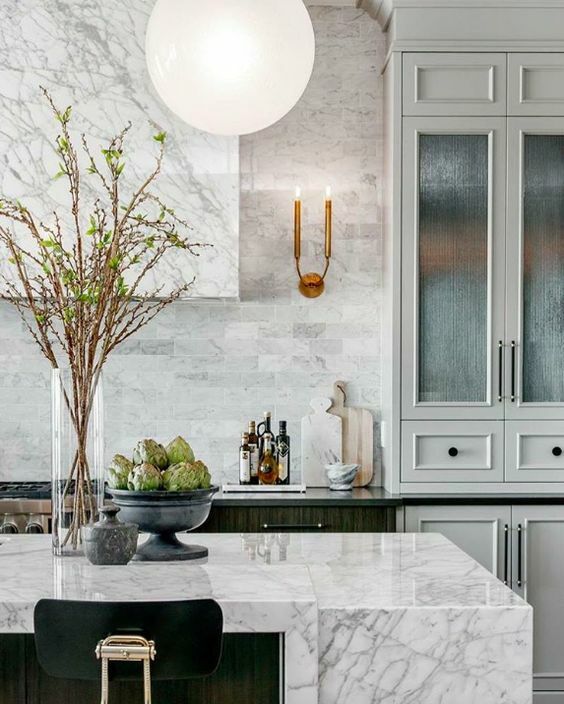 this simple yet chic un-lacquered brass fixture pops against this beautiful carrara marble clad kitchen. smokey drama ~this gorgeous hand-blown glass muse sconce by zia priven is offered in a few different glass shade options as well as several metal finishes. clean, simple and stunning! lavender lust ~ the continuum collection designed by the uber talented andreea rusu truly showcases what can only be described as art come to (light) life. the custom bent tubes can be arranged in a number of configurations “to produce a multitude of styles and sizes” and, coupled with the amazing array of custom glass colors, the sky is the limit on what can be created! dramatic drop ~ well, that phrase pretty much sums up the torpedo sconce from skram! the shape (love), finish (many stunning options) and drama (so much drama!) of this fixture is perfect to add just the right amount of intrigue to any room. petite and powerful ~ shiny object, shiny object, shiny object! what’s not to love? polished brass, up and down light source, small in scale….the holtkoetter polished brass modern up-down wall sconce packs a powerful punch in a petite package. 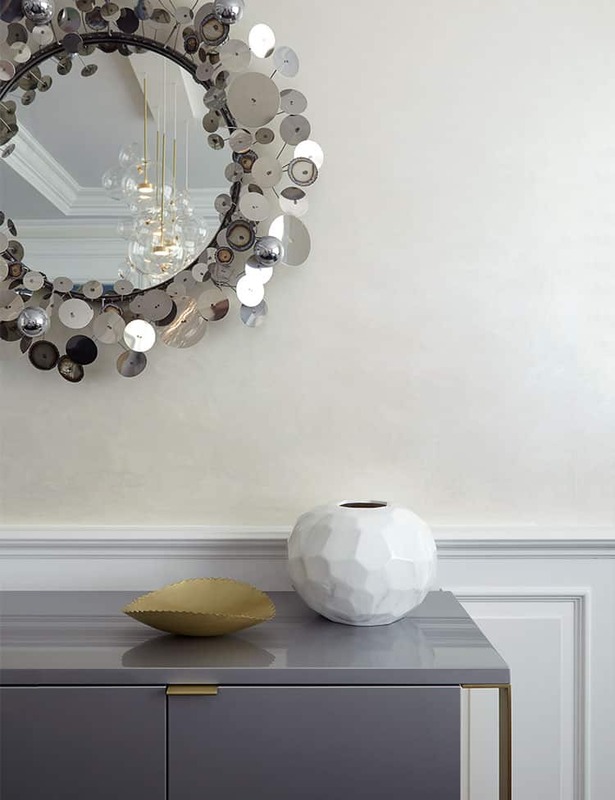 geometric beauty ~ i love everything gabriel scott makes and their welles sconces top my list. the graphic shape of the shades coupled with the exposed rivets makes my designer heart swoon! how about you? what’s your favorite scone that you are obsessing over? do share! 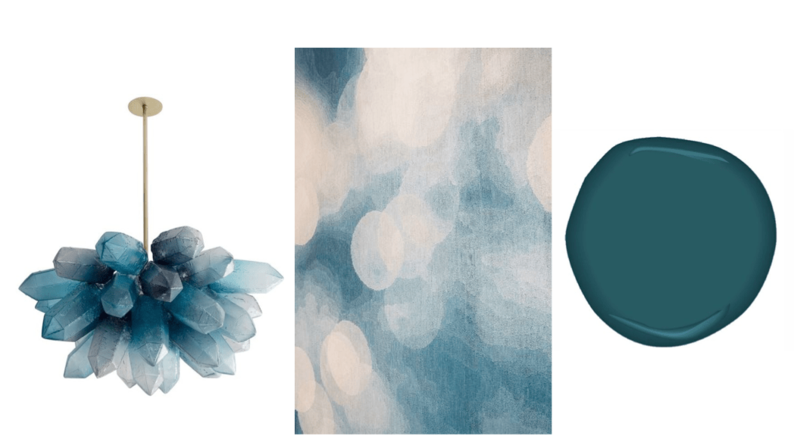 rich, lustrous, and moody….just a few words i’d use to describe this gorgeous blueish green hue. 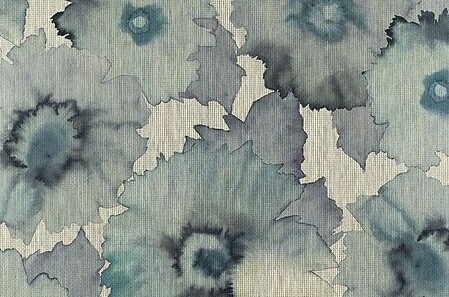 there is something about this color that i find calming and exciting all at the same time. 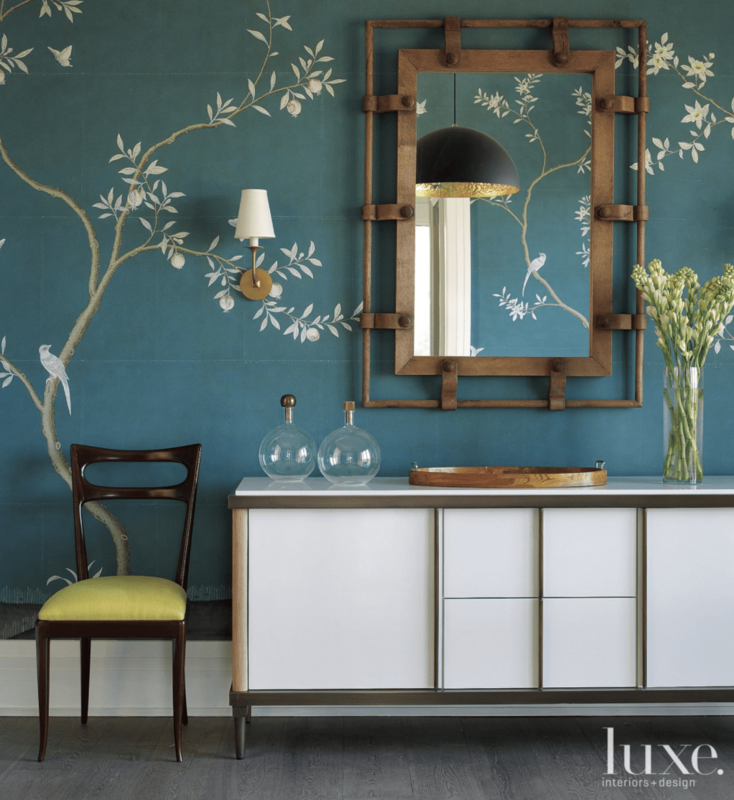 to say that i’ve been obsessed with the phillip jefferies bloom wall paper (featured above) for some time would be a slight understatement. but do you blame me? it’s gorgeous!! how delicious is this server! it is such a chic use of color in this otherwise monochromatic dining room. did you notice that this room features the same server, but this time in white and featured against this stunning gracie wall covering? beautiful, beautiful, beautiful! while i’m not one to go color crazy [i’m more focused on using accent colors that assist in bringing life to a room, not dominating the room] i do love a strong, sometimes bold pop of color. a little can go a long way and when done right a touch is all you need. where would you like to use these beauties to add a moment of wow in your space? i have this love affair with metal. not any particular type or finish (although i do have my favorites) but more specifically when it is used as a thoughtful accent, detail, form or design. 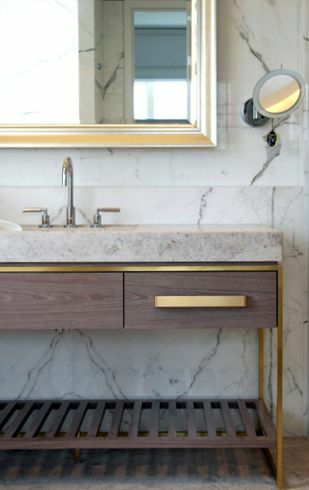 while i know that satin brass (or brushed brass) seems to be all the rage these days i can’t say that it’s a trend i wish would go away. on the contrary! i love the warmth it gives, the touch of glamour and modernity and of course, the swoon-worthy contrast it can provide. 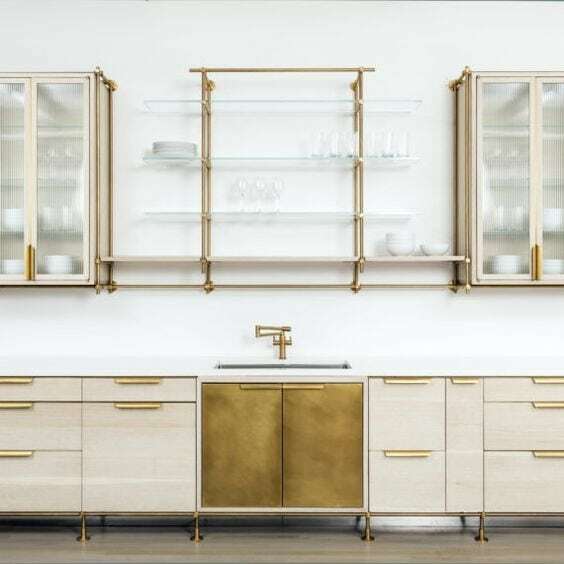 satin brass has more of a matte finish, yet offers the perfect balance of glitz and refinement. 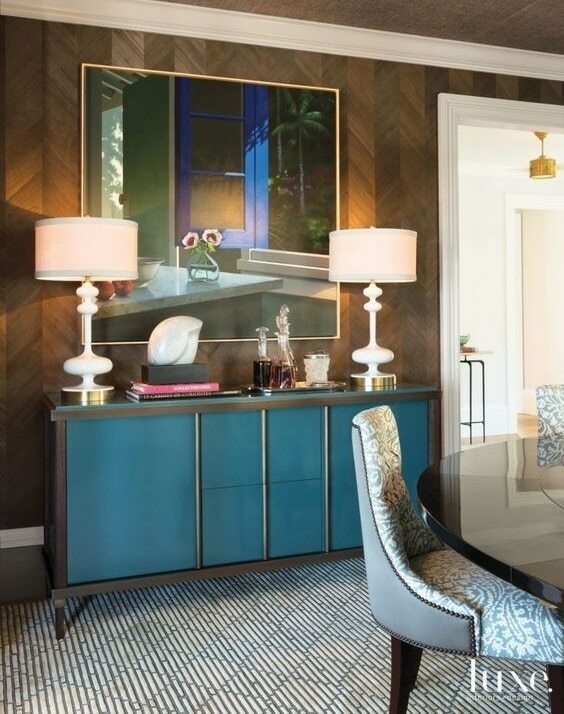 when done properly you will notice it the minute you walk into a space and for all the right reasons: it provides a beautifully unique contrast and plays nicely against any background color. i mean, how gorgeous is the link pendant pictured above? 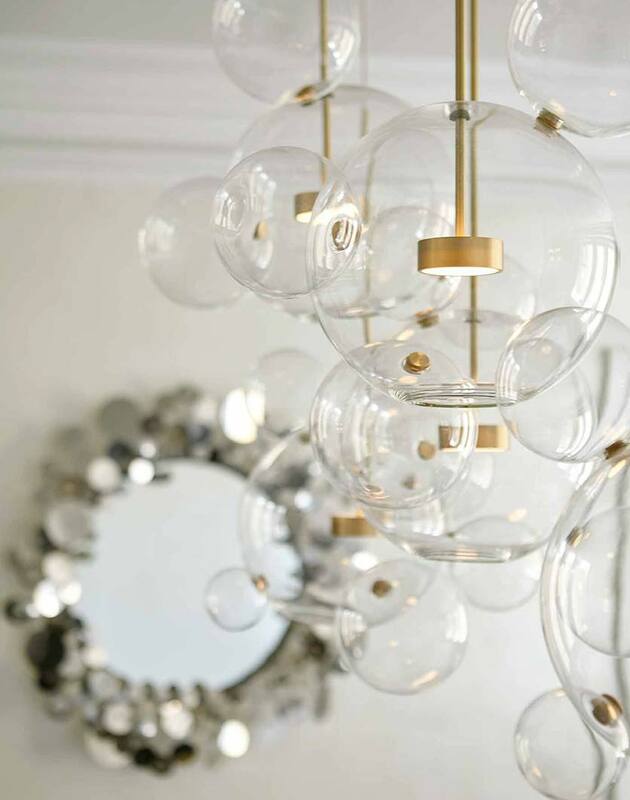 the details of the “chain” is beyond stunning….it’s jewelry that also happens to light up a space! and the thoughtful design of the shelving brackets?!? when i saw these firsthand at this year’s icff i literally think i stopped breathing for about a minute. purely exquisite! how about you? 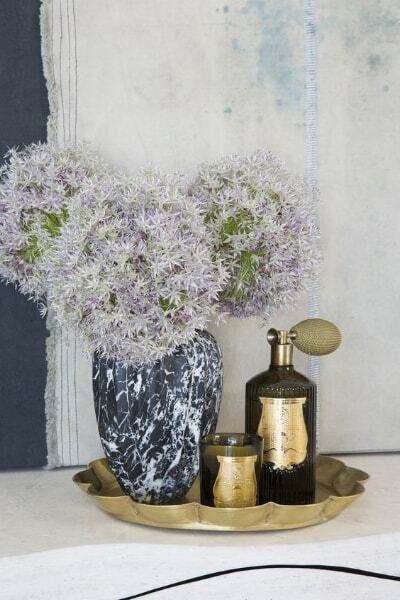 are you ready to add a touch of glamour and interest to your space with some satin brass accents?? 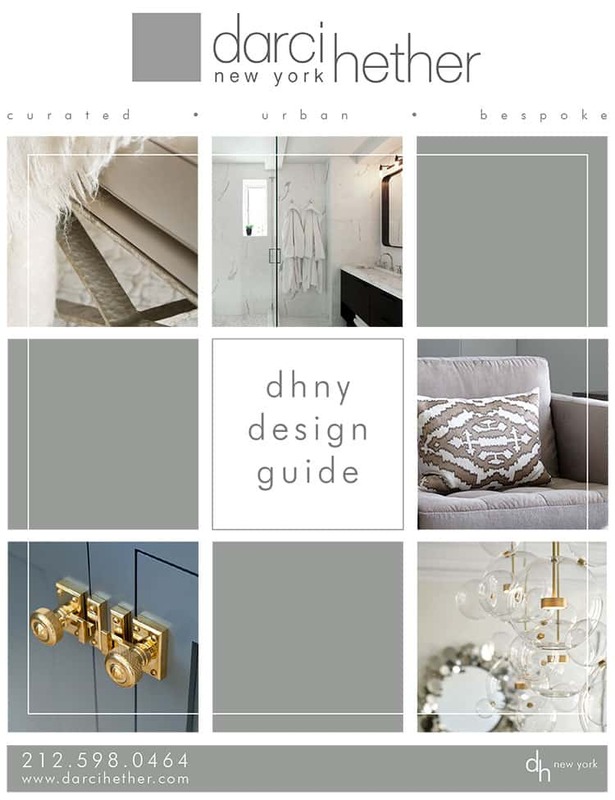 Update 4/12/2018: want to read more about how to add stunning metal accents to your space? 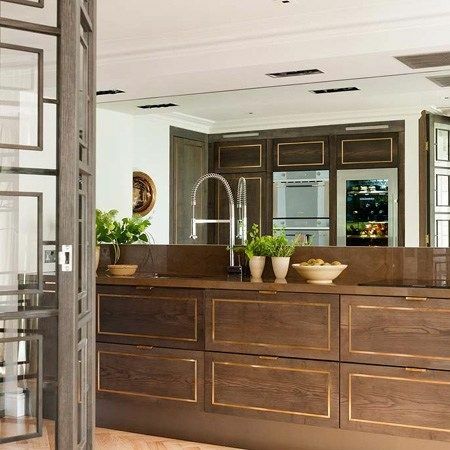 Check out my more recent posts about mixed metals in the kitchen & living room, and learn more about metal accents in some of my top favorite tile trends! welcome! and thank you for visiting!! 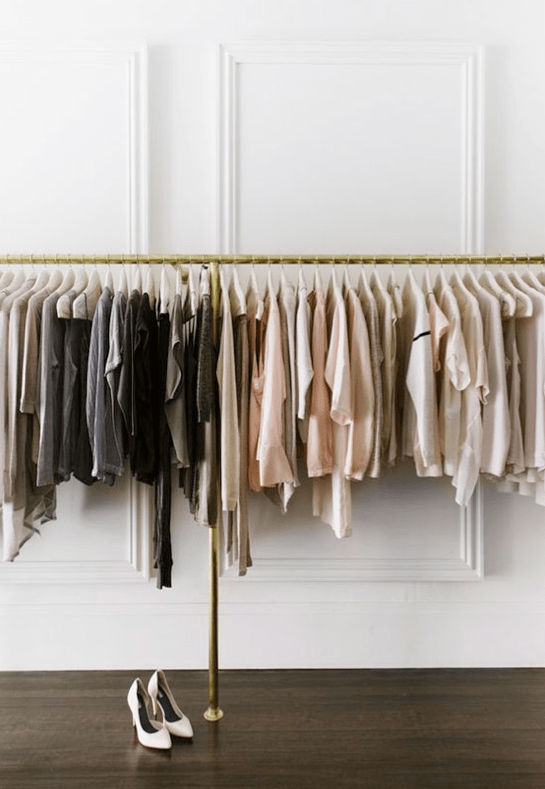 i’m sure i’m about a decade late to the blogging parade but here it goes! my intention is to use this platform to share with all of you (hello, is there anyone out there??) all of the things that excite me, tidbits of information about the design industry, and gorgeous details of things that make me swoon. so, grab a cup of coffee (or, better yet, a glass of bubbly), have a look around and enjoy some eye candy.